Convertible car hire Tauro Gran Canaria. We compare prices from Gran Canaria’s leading rental companies. Our philosophy is simple, the best quality at the lowest price on your car rental. Our prices on car hire always includes unlimited mileage, and all necessary taxes and insurances. Use the search engine below for guaranteed best price on convertible car rental Tauro Gran Canaria in Spain. Some within Puerto Rico in Gran Canaria we find Tauro, which over the years has become known and loved haunt for quite a few Norwegians. 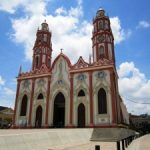 Tauro was in his time a very small community but has been violently developed in recent years. Especially Anfi has built many bungalows and villas here. It has also been built a golf course right in Tauro, Anfi Tauro Golf. You will find both a large Spar supermarket and restaurants inside the valley, as to whether to stay in the area then it’s probably okay to have access to a car. Many Norwegians have gradually decided to stay here in the winter and most people who own houses here are enough families from Norway. 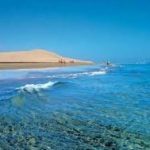 If you need car hire in Tauro, its easiest to order the rental car online and pick it up when land at Gran Canaria Airport. Then you easily can return the car when traveling back to your home country, and you do not need alternative transportation to and from airport. In most cases, this is less expensive than using small local car rental supplier in Tauro. Use the search engine above for guaranteed best price on car rental in Tauro. The beach below Tauro, is not of any world standard for comparing with neighboring beach of Amadores, but still a nice place to sit down and enjoy an ice cold beer on ettermiddaggen. It has long been talk about developing Bjorn Lyng’s idea of a white beach with marina for up to 500 boats here, but it is so far not been a thing of. Just beyond the beach is also one of the better restaurants in the south of Gran Canaria namely Guantanamo. Square here is well known for its tapas dishes and very good grilled meat. The restaurant has an emphasis on the Canarian cuisine, with much fresh vegetables as tomatoes and peppers. 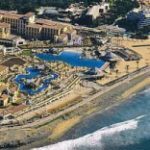 Have you got borrowed or rented a resort or are considering buying one in Tauro, this recommended both as a holiday destination and a great place to stay. The climate here is the best on the whole of Gran Canaria, but space can some people feel like a little outside alfarsvei. Tauro is a bit remote, but is not more than 5 minutes away as Puerto Rico by car. We wish you a merry whatever holiday in Tauro. 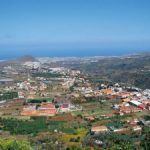 This entry was posted in Car hire Gran Canaria, Car hire Tauro, Tauro and tagged Car hire, convertible, gran canaria, rental car, Spain, tauro on 3rd February 2018 by Vera.